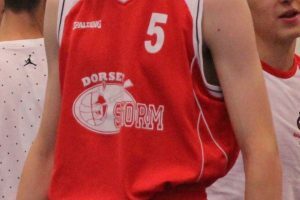 If you are playing for Dorset Storm B you need to arrive by 3.10pm, if you are playing for Dorset Storm A you need to arrive by 3.40pm – the venue is St Edward’s School, Dale Valley Road, Poole, BH15 3HY. Full basketball kit will be provided; all you need to remember is your trainers and some water. 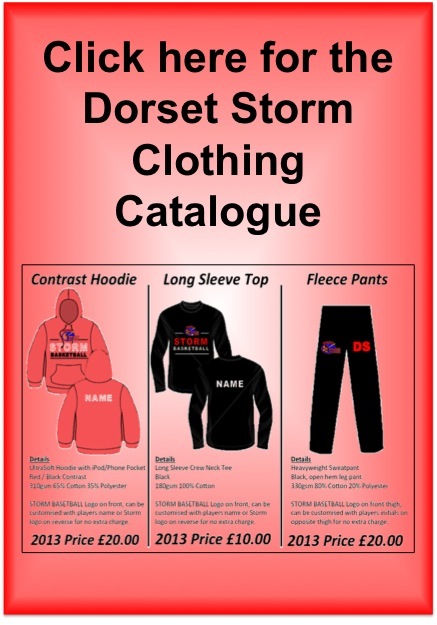 We would like you to wear your white & red club tee-shirt which you have; this can then act as a “warm-up” top that can be worn when you are not playing. We are sure that you do not need to be reminded that we will expect you to behave in an appropriate manner both when you are playing and watching other games. Any outstanding session fees will also need to be paid for you to be allowed to play. Please bring with you your tournament fee on the day and hand it to your coach as soon as you arrive – no tournament fee, no play. If you cannot play please can you let us know by Tuesday 7th November so we can find a replacement.